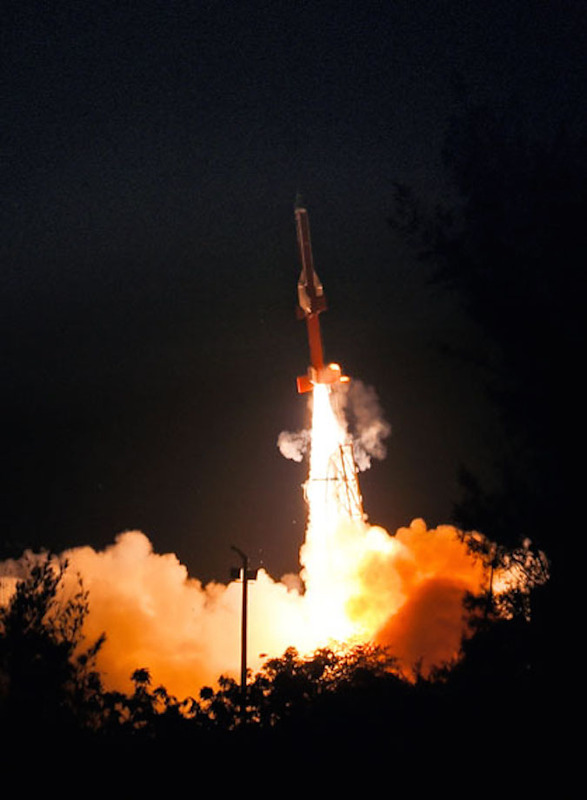 The Indian space research agency, ISRO, on Sunday 28th August tested a new jet engine, scramjet, which could bring down launch costs by up to 10-fold. With this success, India has joined a small group of nations which have successfully tested such an engine. The engine commonly known as scramjet (supersonic combusting ramjet) is a variant of a ramjet air breathing jet engine in which combustion takes place in supersonic airflow. As in ramjets, a scramjet relies on high vehicle speed to forcefully compress the incoming air before combustion (hence ramjet), but a ramjet decelerates the air to subsonic velocities before combustion, while airflow in a scramjet is supersonic throughout the entire engine. To put it simply, Scramjets are an evolution of ramjets that are able to operate at much higher speeds than any other kind of air breathing engine. After a smooth countdown of 12 hours, the solid rocket booster carrying the Scramjet Engines, lifted off at 0600 hrs (6:00 am) IST. The important flight events, namely, burn out of booster rocket stage, ignition of second stage solid rocket, functioning of Scramjet engines for 5 seconds followed by burn out of the second stage took place exactly as planned. According to ISRO “The Scramjet engine designed by ISRO uses Hydrogen as fuel and the Oxygen from the atmospheric air as the oxidiser. Critical technologies such as ignition of air breathing engines at supersonic speed, holding the flame at supersonic speed, air intake mechanism and fuel injection systems were successfully tested. ISRO’s main challenge in this area will be to sustain scram jet propulsion, as India is not very strong in the field of metallurgy and more R&D is needed in metallurgy if we are to develop materials which can withstand the heat generated in such process. The advances made by ISRO can also help India’s struggling jet engine programme like Kaveri. While the test was only for a mere “5” seconds, the significance of this success cannot be underestimated as the successful development of this technology will push India to become one of the leaders in Propulsion Technology and help India maintain it’s competitive edge in the Satellite launch market.